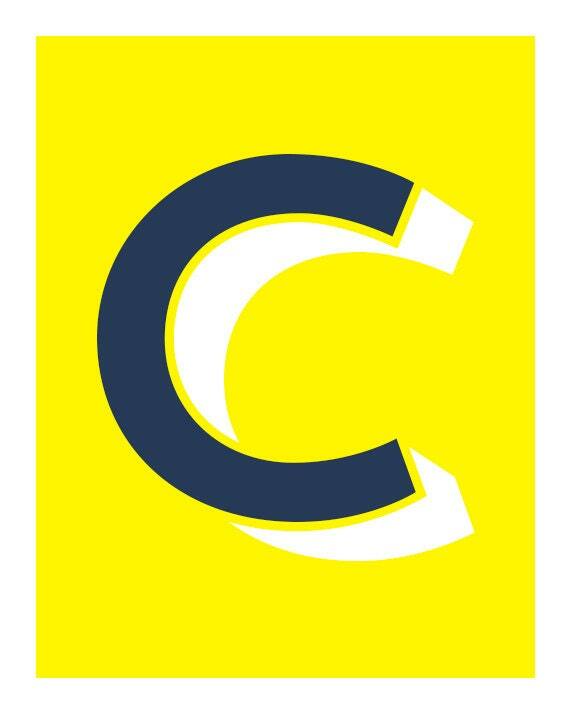 C is for...Clark, Cindy, Caden, Caleb, Charley, Cameron... 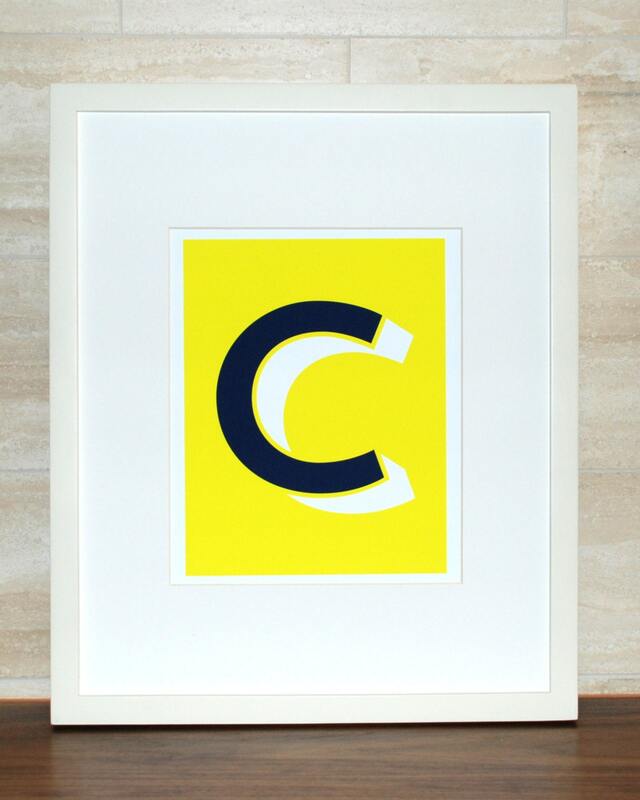 The Letter C is printed in an inky navy blue with a white dropshadow on a bright neon yellow background. It looks great in a simple white frame. Love the style of these prints and the quality is great. I got two letters - S and C. Cindy was really amazing. One of them had a small defect when I received it and she replaced it ever so quickly. Would highly recommend this store.